I am working on buying a house in the valley and the contract has a section about a survey. There are several surveys mentioned in the contract, and I have been advised to pay for an “improvement location certificate” (ILC). I’m not even sure what that is. The seller says they have a survey of the property, but my Realtor says that it is not an “ILC.” Can you please tell me the difference and why they want that certificate? My Realtor has explained it, but I am still uncertain. A survey is a scale drawing of the exact location of all the borders and corners on a specific parcel of land. An improvement location certificate shows a “depiction” of the property boundaries and shows the location of all of the improvements (structures), encroachments and recorded easements pertinent to the property. An ILC used to be required by most lenders and many title companies, but rules have changed. Most companies in the valley now only require an ILC on homes over $2 million and many lenders have deleted that requirement. The ILC, though not often required, is always recommended by a competent Realtor for homes that include the surrounding land to make sure the home is actually built on the land that you will acquire in your deed at closing. Some of the older towns in the valley had lot lines that were measured incorrectly many, many years ago and consequently, all of the homes on the street actually have part of the dwelling on a neighbors property. Many of these have been straightened out over the years, but not all. Even in new subdivisions, mistakes have been made and homes have been built in the setback from the street that the town owns. One property we sold had the barn accidently built almost entirely on the neighbor’s property. They had went off survey pins that were wrong pins. Sometimes homeowners add fences, decks, home additions, etc., that hang off the land that they own. Therefore, it is always best to spend the money to have an updated ILC so you can see the improvements or encroachments and know how far away your improvements are from your actual lot line. If there is an encroachment, it can often be legally mitigated with endorsements from the title company. However, if you purchase the property with no knowledge that part of your home or other improvements encroach on your neighbor, you could someday be forced to remove the part that encroaches. Not a pleasant thought. Take the advice you were given and have your Realtor recommend a good surveyor. An ILC from a licensed surveyors is less expensive than a full land survey and is often well worth the price. Best of luck to you. 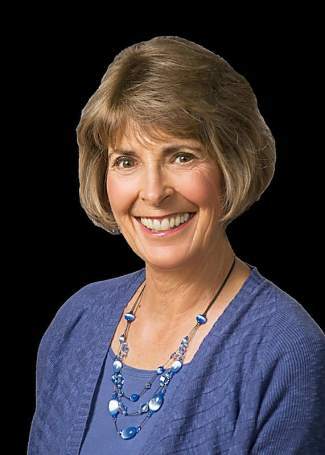 Joan Harned is an owner and broker for Keller Williams Mountain Properties and heads up Team Black Bear. Harned has been selling real estate in Eagle County for 27 years, is a past chairman of the Vail Board of Realtors, past Realtor of the Year, past director on the Great Outdoors Colorado Board and a member of the Luxury and Land Institutes. Contact her at joan@teamblackbear.com, 970-337-7777 or http://www.skiandteehomes.com.